We know administrators love those tools that make life easier – especially when they’re free! So here are some of them! Any free tools you know of that are missing from this list? Leave us a comment! TCP View allows you to view detailed TCP and UDP connection information in a user friendly format. Ping Plotter is a lightweight tracert application that generates graphs to help you visualize the route of the packets from source to destination. Bluetooth View monitors the activity of Bluetooth devices in the area and displays information related to them, such as Device Name, Bluetooth Address, Device Type, etc. SpiceWorks Network Troubleshooting is an all-in-one tool that allows you to perform routine troubleshooting tasks such as killing processes remotely; access devices remotely, ping, tracert and nslookup, and even compare the status of two devices. RAM Map allows you to analyze physical memory allocation in your system. You are able to determine how much file data is cached in RAM, how much RAM is used by the kernel and device drivers, etc. Root Kit Revealer allows you to detect the presence of rootkits that operate by attempting to hide their files or registry entries. 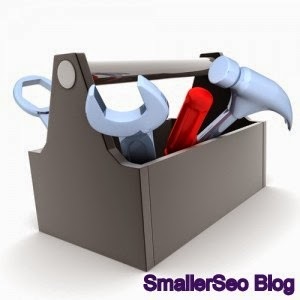 Thanks for sharing nice tools for seo business. Fantastic goods from you.. I've understand your stuff previous to and you're just too wonderful. I really like what you've acquired here, really like what you're stating and the way in which you say it. You make it enjoyable and you still care for to keep it smart. I can not wait to read much more from you. Billboard advertising is your one-call asset for boards in any business sector. They have the biggest stock at the most reduced rates in each state and city because of their key organizations with various organizations owning advertising channels, which go on to their esteemed customers. Its a really nice post and pretty well maintained, thanks for it and keep updating.